The Champions League returns this midweek, in what promises to be a fascinating round of last 16 action as we reach the knockout stages of Europe’s premier tournament. There’s big English interest, with four Premier League sides still harbouring hopes of European glory. Manchester United and Tottenham are in action this week, while Manchester City and Liverpool fly the British flag next week. Man Utd v PSG: When the draw was made for the last 16 in December, no one gave United a sniff of getting past French giants Paris Saint-Germain. However, fast forward two months and the tie certainly has a lot more intrigue to it, set to be a lot closer than first thought. Firstly, Ole Gunnar Solskjaer has led the Red Devils to 10 wins in 11, including victories at Arsenal and Tottenham, with United looking a different proposition than under Jose Mourinho. 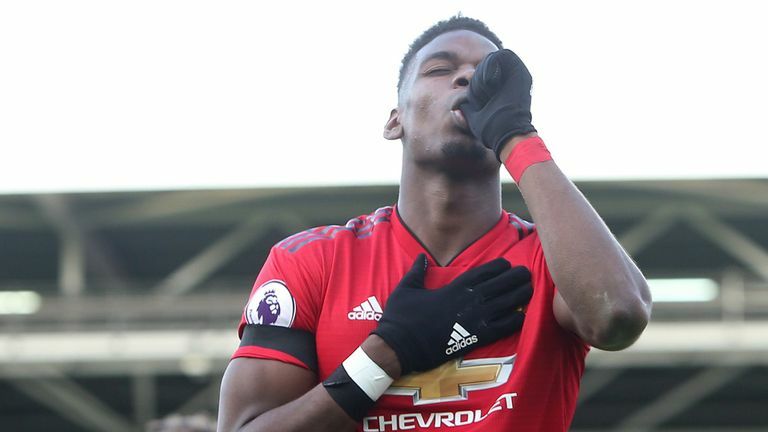 Solskjaer has got United playing with freedom, with Anthony Martial, Marcus Rashford and Paul Pogba excelling and looking a strong unit in attack. Then there’s PSG’s injury crisis. Star man and the world’s most expensive footballer Neymar, is ruled out of both legs while Edinson Cavani, Thomas Meunier and Marco Verratti are big doubts ahead of the first leg. They also tasted defeated in Ligue 1 for the first time this season against Lyon earlier this month, so if there’s ever a good time to play the French champions, it’s now. Obviously with the likes of the second most expensive player of all-time Kylian Mbappe, United flop Angel De Maria, Julian Draxler, Thiago Silva and Gianluigi Buffon, PSG will still be a force to be reckoned with but United certainly have more than just a sniff of progressing. United are in fact favourites at 7/5 with the bookies to edge ahead in the first leg at Old Trafford, although PSG are 8/13 to qualify, to United’s 6/5. Solskjaer’s men represent good value for money and as we saw against Juventus, are certainly capable of toppling Europe’s elite, and are facing a side who have flattered to deceive in recent years, falling at the last 16 in the past two seasons. Prediction: Man Utd to qualify at 6/5. Tottenham v Dortmund: Now this is a tough one to call. Mauricio Pochettino’s Spurs are in great form despite missing Dele Alli and Harry Kane, winning four consecutively in the league and are still very much in the title race just five points off the lead. Borussia Dortmund are in a great position to lift their first Bundesliga title since 2012, currently sitting five points clear, and have an abundance of exciting attacking talent. Being out of both the FA Cup and League Cup will at least focus Spurs’ depleted squad on the Premier League and Champions League. While Alli is set to miss both legs, Kane could be back for the return tie which will act as a massive boost. Late wins against Fulham, Watford and Newcastle demonstrates Spurs’ resilience with Harry Winks, Son and Christian Eriksen in outstanding form in the absence of Alli and Kane. That resilience is reinforced by the way they qualified in the group stage despite all hope looking lost after three games, picking up seven from the next three with wins against Inter and PSV, while drawing in Barcelona. All eyes will be on Dortmund's English wonderkid Jadon Sancho who has been a revelation this season, scoring eight goals so far, and assisting 10. Germany star Marco Reus will also be key, scoring with 16 goals to his name, while a defence fresh off conceding three times in the 3-3 draw to Hoffenheim will need addressing. Spurs are 11/8 favourites to take a first leg lead back to Germany and are 5/4 favourites to qualify for the quarter-finals for the first time since 2011. Dortmund will be a threat but it’s hard to look past Spurs for me. Prediction: Spurs to qualify at 5/4. Predict the action: As ever, if you fancy putting your Champions League predictions to the test, come check out our games at i-pools. We’re running a last 16 Coupon with £100 guaranteed that covers all eight matches, so predict how you see each result panning out in order to get your hands on the first prize. We’ve also got a Fantasy game to play and Match Pools for both United v PSG and Spurs against Dortmund. Predict the match result, how many goals will be scored, anytime scorer and more, with the aim of the game to outscore your opponents. Come and enjoy the Champions League in style!